I'm Here. 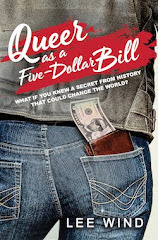 I'm Queer. What the Hell do I read? 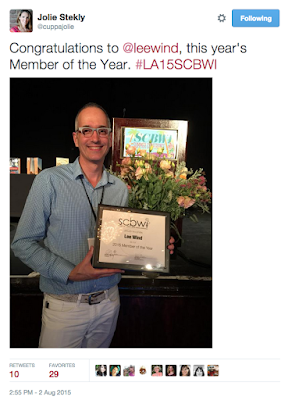 : I'm SCBWI's 2015 Member Of The Year! I'll be honest. I wasn't listening. Blogging the Golden Kite Luncheon is a lot of work, with one award being announced after another after another and keeping up with the live-blogging is very challenging. I was trying to prepare my next two posts, and since Jolie was in charge of blogging whoever won The Member of the Year Award (because she, herself, had been honored with it previously), as soon as Steve Mooser said, "The Member of the Year Award is given each year..." and started explaining what the award was for and what it meant, I tuned everything out. But as I was typing away on my laptop, a thought occurred to me: What if I knew this person who was about to win? And I'd be there, totally not paying attention to their big moment. That would be really, really rude. So I took my hands off the keyboard, looked up to the stage, and tuned back in on what Steve was saying. The first words I heard were "was an R.A."
I thought that was unusual, since most often the award is given to active Regional Advisors. Then Steve used the pronoun "he." That narrowed the field down considerably, and I was sitting there doing the guessing game in my head, wondering who he could be talking about. Blood rushed in my ears. It was me. He was talking about me. Sound burst around me. I stood up and people were cheering. Applauding. Like a camera moving too fast everyone was blurred. I told myself don't faint. Don't you dare faint. And I focused on getting up on the stage. I was hugging Lin, who patted me on the back and chuckled, "Ha, ha! We got you!" And then I was hugging Steve. And then Lin gestured to the podium and told me I could say a few words. My feet took the few steps over to the microphone. 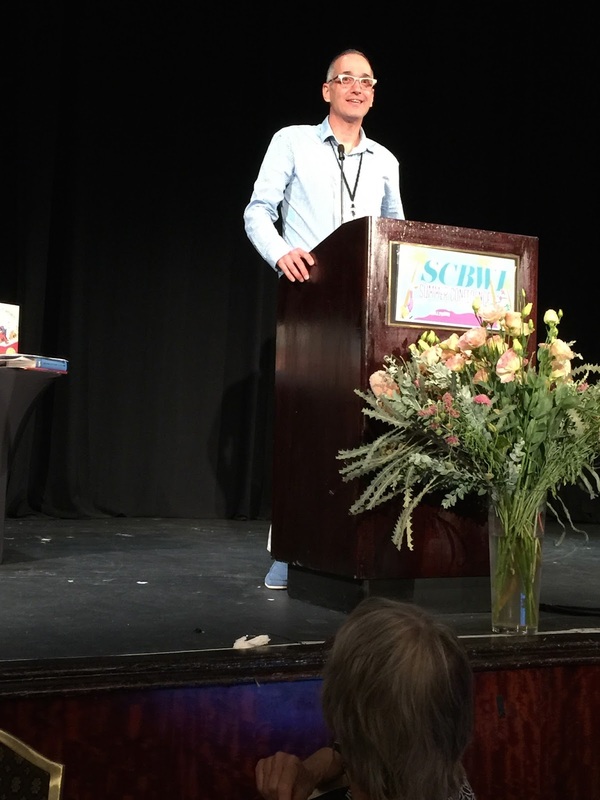 And I looked out at the 1,200 writers and illustrators and agents and art directors and editors and kid lit professionals in the room. There were people STANDING UP! Whoo-hooing. Clapping. I starting talking, and I'm not 100% sure what I said. I know I started out by telling everyone that Lin had just said "HA! We got you!" and I told the room that you sure did. I said that SCBWI, that everyone there, is my tribe. I know I told the story of how in 2005 I attended just one afternoon of this very same summer conference. I came alone. I knew no one. I talked to no one. Except at one point toward the end of the day I mustered up my courage, and walked up to Lin who was just coming off the stage. "You're really funny." I told her. And then I ran away. I remember mentioning my first manuscript critique with Esther Hershenhorn for a picture book manuscript that was terrible, and how kind she was. I think I said once again that the community I've found here feels like home. Creative home. I hope I said thank you. And then, somehow, I got back to my seat. I feel recognized. And connected to my tribe. And honored. And so, so grateful. Congratulations, Lee! A well-deserved honor. So excited for you Lee! So very deserving! Congratulations, Lee! So excited for you! That's great that you told Lin she was funny the first time you met her and ran away. You've always made me feel welcome, connected and important at all of the SCBWI conferences I've attended. And this blog (and newsgroups etc...) is also a go-to resource for me and so many other writers / readers! 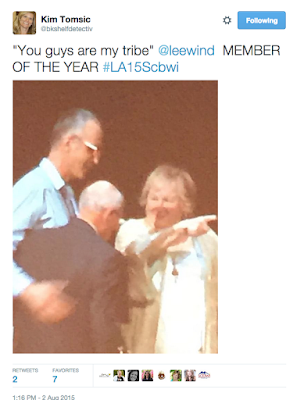 Thank you so much and I'm so glad you were recognized as member of the year! Congratulations, Lee! That's absolutely awesome. 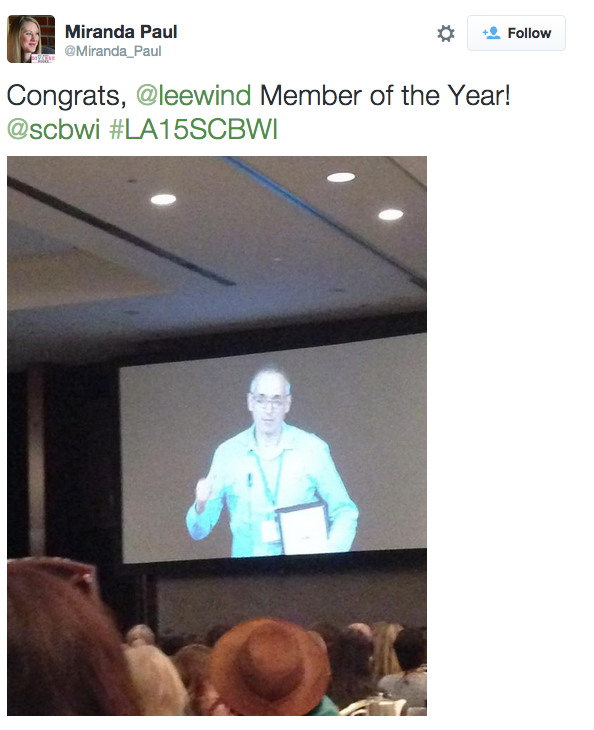 Well deserved, Lee! So happy you were recognized. I was one of the standing woo-hooers, Lee. You do so much for SCBWI and its members. This is a well deserved public recognition of that. Congratulations. That's amazing. I loved the story of you almost missing your name. 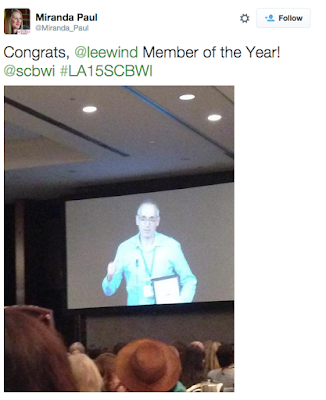 Congrats Lee! I am honored to know you and privileged to have been there to witness the thrilling announcement and your moving speech. You make our tribe so much richer. Congratulations!!! So well deserved. I love that they picked you. Cheers, Lee! Such a well-deserved accolade for someone who really embodies what the community is all about. And well done to you for actually speaking to someone your first year -- I know I didn't, and still find it a challenge! 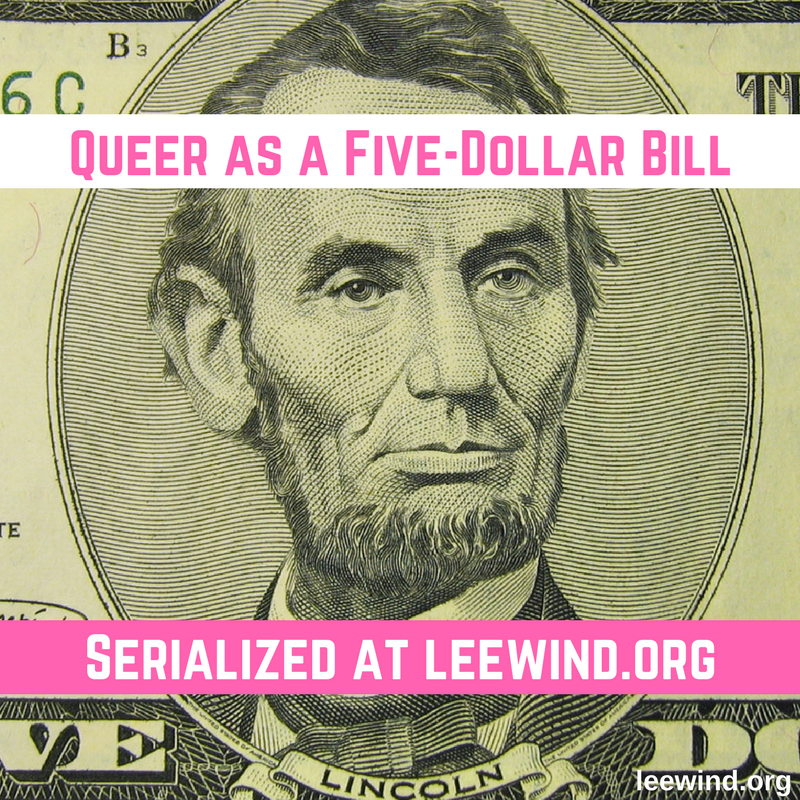 Unlike you, Lee - my honest-to-God first thought was, "I wonder if it'll be Lee?" 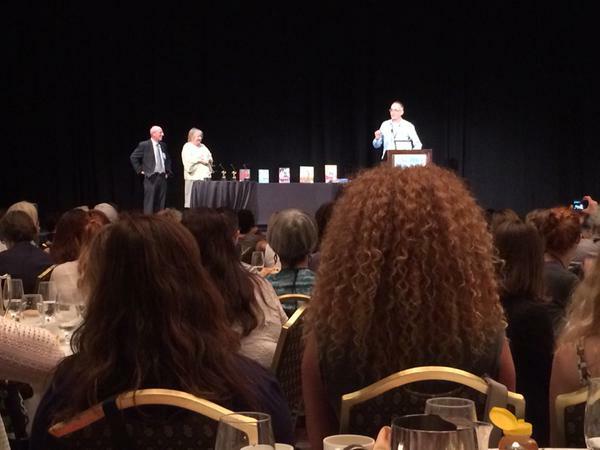 And once you're name was announced, that loudest hooter-and-hollerer from way in the back? That was ME. 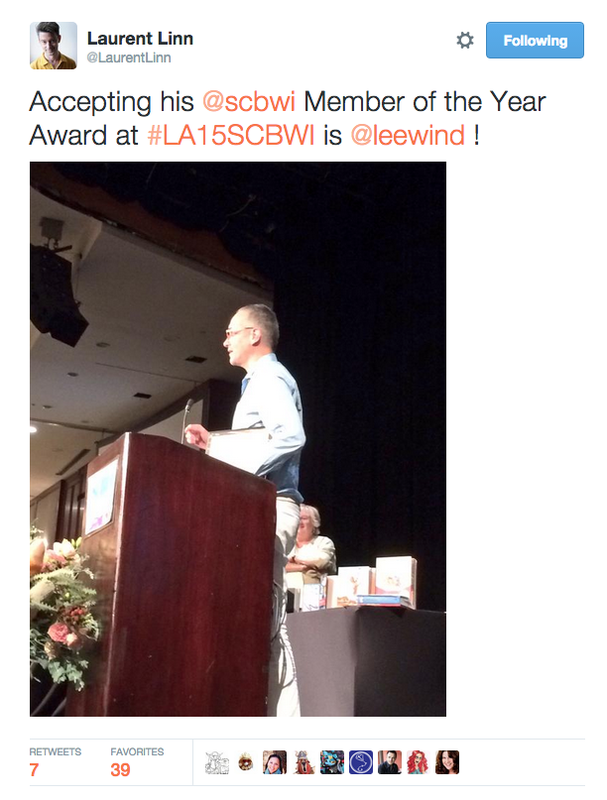 I was sitting with an old friend new to our SCBWI tribe, and I kept saying, "That's my friend Lee! I know him! He's awesome!" SO well deserved. Congrats again! You so deserve it Lee! For the entirety of my SCBWI experience, you have been one of the key faces of it. Your enthusiasm, your passion for this organization and for your craft is contagious and inspiring. Of course people are on their feet because there is something so rewarding and wonderful when one of the good guys gets what's long overdue. 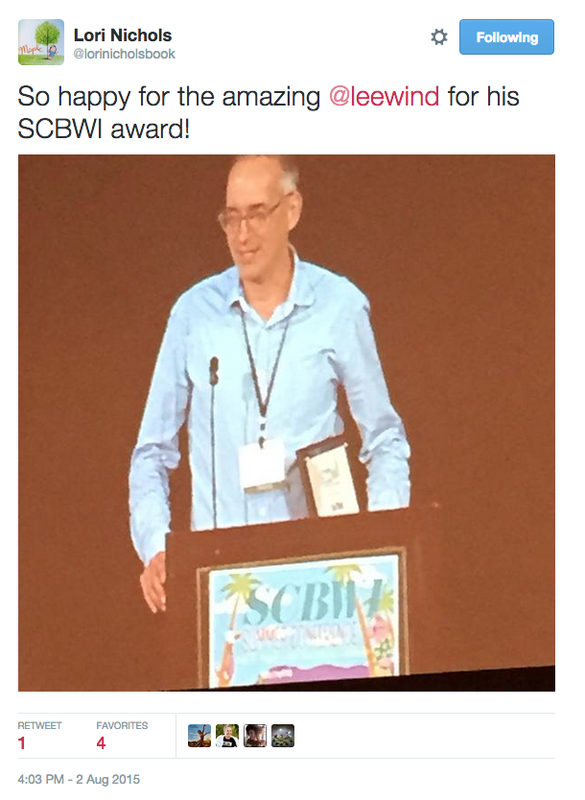 Thanks for being there for ALL of us, and helping make SCBWI such a special place. Cheers, fist bumps, and hugs!!!!!!! Congratulations! You've done so much for the organization. Thank you, thank you. Congratulations!!! You've done so much for the organization. Thank you, thank you!